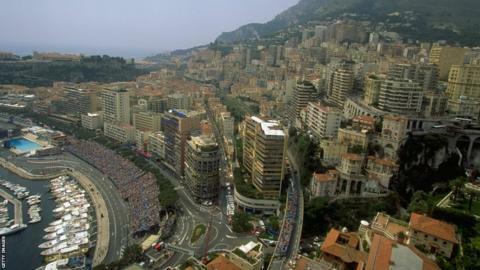 The Monaco Grand Prix remains one of the most visually captivating events on the sporting calendar. It is almost impossible not to feel the romance of this grand prix when it has provided such glorious images over the years. 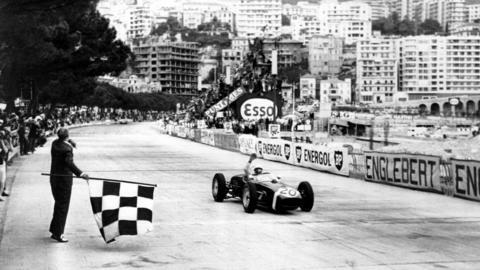 These dramatic pictures encompass the trackside glamour and racing glory still experienced today in Monte Carlo by fans and drivers alike. Here, driving the Rob Walker Lotus, Britain's Stirling Moss crosses the finish line to win the grand prix in 1961. Stars & car stripes: The Cannes Film Festival has taken place over the same week as the grand prix since the 1950s. Famous Hollywood names to have graced the paddock have included Brad Pitt, Jennifer Lawrence and George Clooney. In 1966, Swedish actress Britt Ekland (above) visited the circuit with her husband, Peter Sellers. It is not unusual for the winner of the race to celebrate by jumping into the harbour pool. 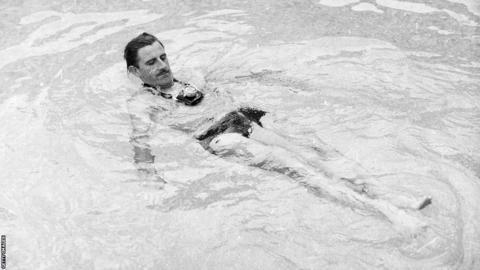 Here, Graham Hill has done just that after coming third in his BRM in 1966. He won the race five times overall. Lunch with a view? 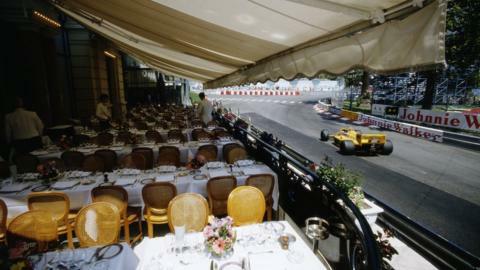 Waiting staff at this restaurant in 1987 had the privilege to witness Ayrton Senna's skill behind the wheel of his Lotus Honda 99T. 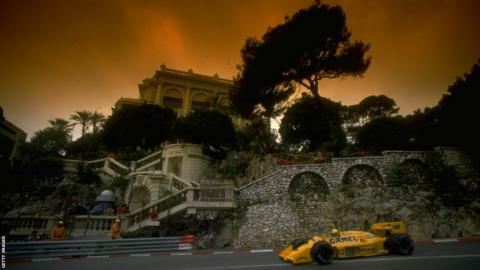 Senna still holds the record for most Monaco wins (six). 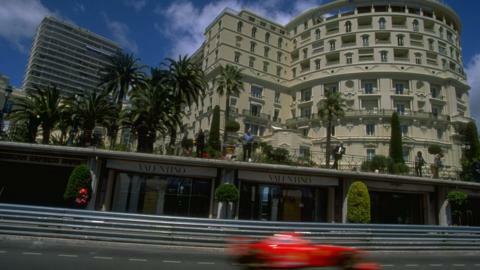 Senna tackles the iconic hairpin at the Loews Hotel, again in 1987. He went on to win the race. 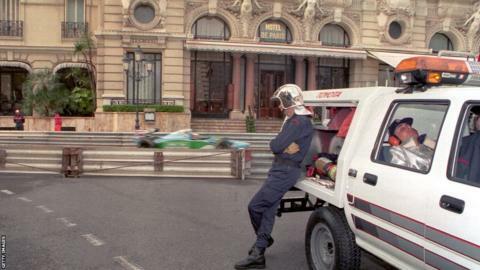 Fire marshals take a break while on standby outside Monaco's famous Hotel de Paris. 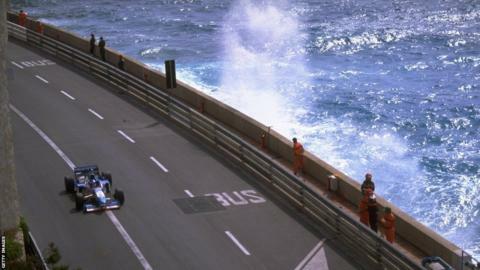 Jean Alesi wrestles with his Benetton-Renault while the marshals avoid a soaking from the Mediterranean Sea during the 1997 race. 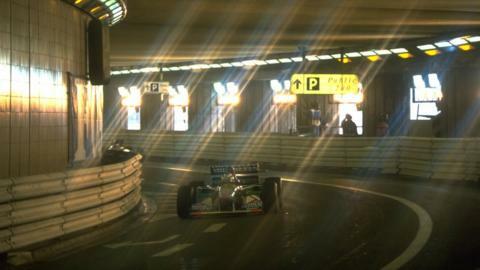 Tunnel vision: Michael Schumacher drives through arguably the most famous landmark on the circuit in 1994. 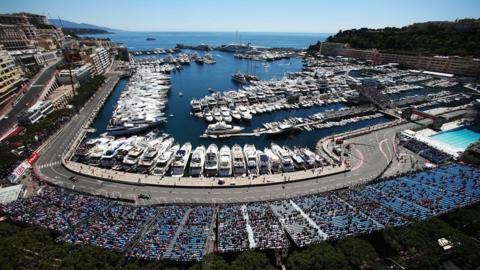 Monaco is renowned for its claustrophobic atmosphere, especially across the race weekend when thousands of people descend on the principality. Customers must ring a doorbell to enter some of Monaco's most exclusive boutiques. Millionaire's Row: Monaco's gleaming harbour is full with many of the world's most expensive super yachts. F1 refuelling plans to be dropped?